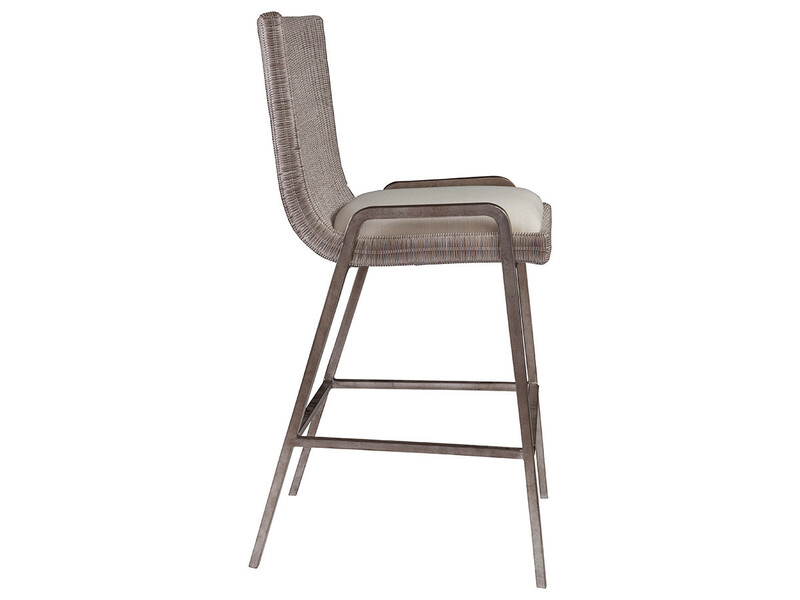 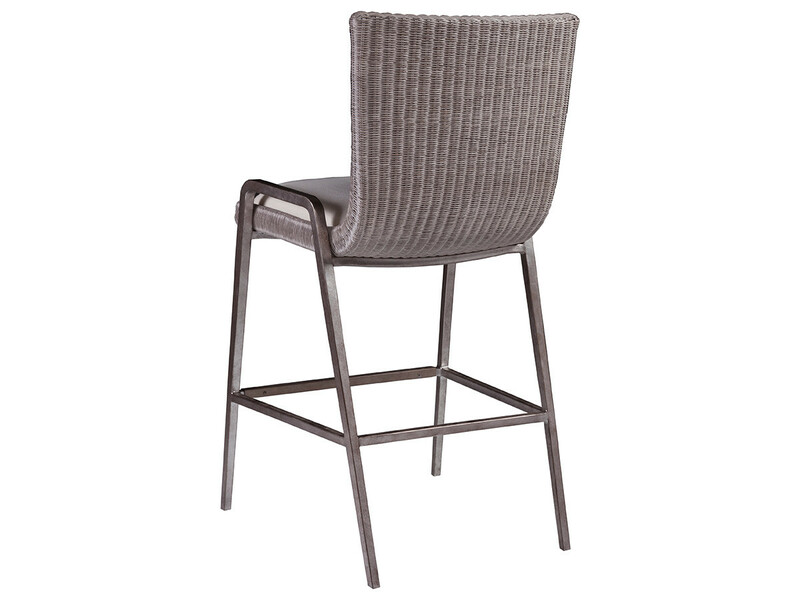 Woven wicker on a tapered iron frame finished in an antiqued silver leaf. 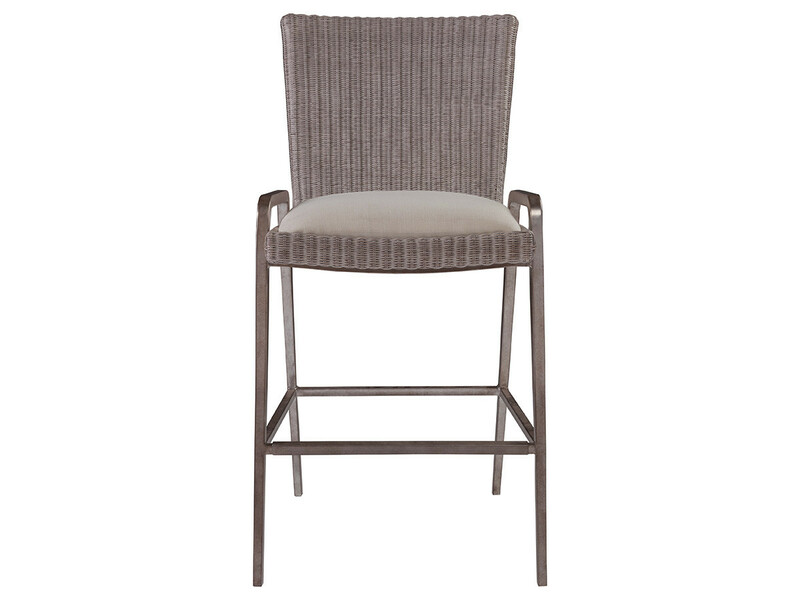 The upholstered seat is available as shown in fabric 153711, a linen weave with a soft hand in a natural vanilla coloration. 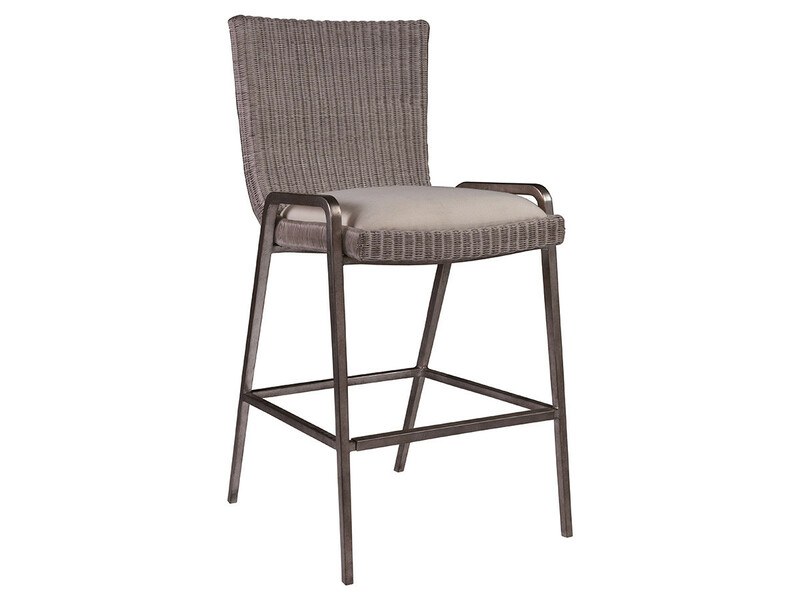 Dimensions: 25.5W x 24.25D x 45H in.